We have been using this for over a year now. In that time we have used and experimented with all the functions of the unit. You can pick and choose what parts of the package you want to buy. Most of them are essential and some are down to user preference. The M300D has lots of technology and many functions to choose from. In this review we will be covering what we found to be the most relevant to detecting water leaks. This is where the M300D excels. The sound is crisp clear and infinitely adjustable to suit any user or situation. There are a 3 different modes that you can use with the ground microphone but really you only need to use "smart mode". This is the best part of the unit as you can set it to listen to what ever frequency range you desire. 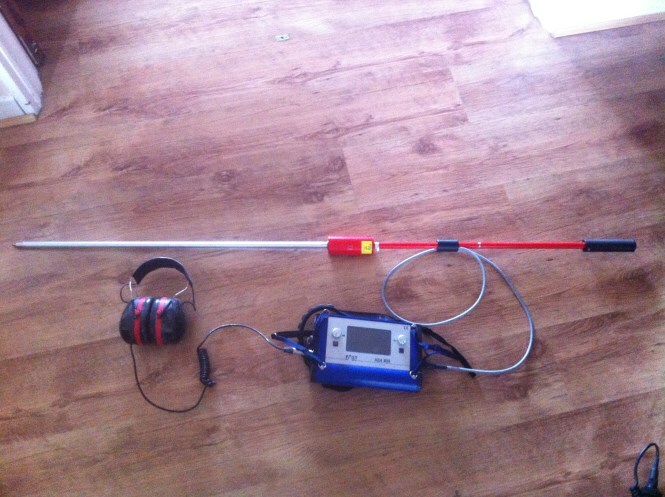 With practice we are able to filter out unwanted noise and only listen to the leak, this allows us to pinpoint the loudest spot on the ground. 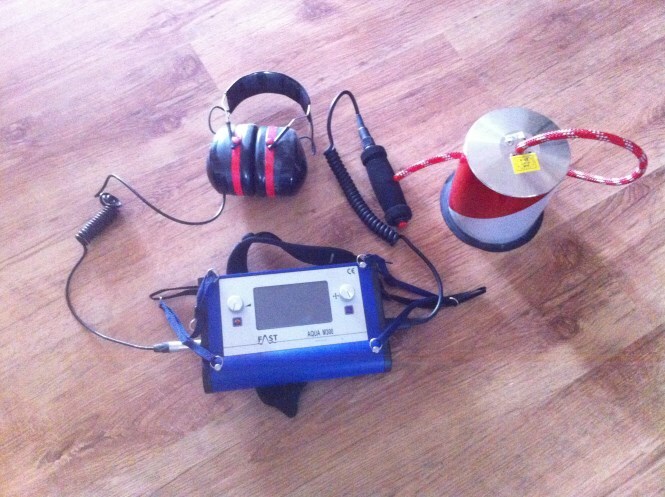 For pipe tracing we would also use "smart mode" in conjunction with the PWG. For the majority of users they may prefer to use the preset modes but with a little practice on filtering the frequencies you will benefit most from the power of the unit. 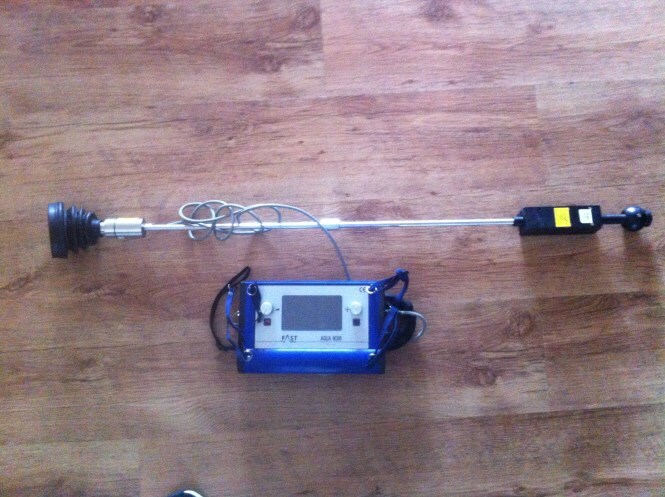 For the test rod and the ground microphone all the functions of the unit are the same. The difference is that on the test rod the pick-up is exposed to the wind and as the unit is highly sensitive then you would need to shield it with your legs. We would only ever use it on grass and areas that we can push the rod into the ground. When tracing a pipe with the PWG, the test rod works brilliantly on grass and can even narrow down the pipe location to a 1 metre wide area. At first we were not happy with this as we found that it took too long to react to positive hydrogen readings, about 30 seconds. After talking to the supplier we were informed that the suction pump would help this, so we tried it. Boy did it make a difference, the reaction time was down to 5 seconds and totally changed our opinion. The pump is also a great help in clearing the hydrogen from the sensor when we are narrowing down a water leak. For sniffing gas this matches anything else on the market. Is not rechargeable, uses 4 size C disposable batteries. Central unit is quite heavy and needs a more adjustable neck strap. 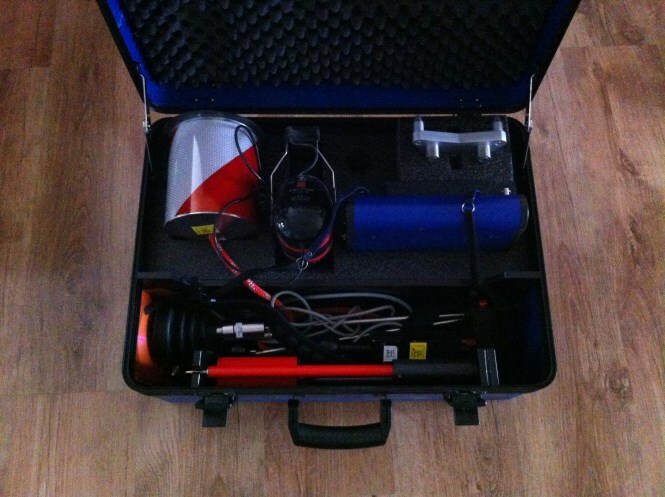 Robust design of unit and tough carry case. Cleanest sound of any of its competitors. Waterproof central unit with touch screen. There are many more things that you can use the unit for. As in it will listen for you for up to an hour and record what it hears. This would be useful when you are on your own and have to go away to turn off the leak. We would be afraid that it would be damaged or go for a walk. This is a top quality piece of kit and i hope we never have to get it serviced as we would be lost without it. Initially we were looking at buying a Fast acoustic unit and a Sensistor hydrogen detector but this combination would have cost 1.5 times the M300D. The M300D can be quite hard to use a first, but with regular use for a couple of weeks you will start to see the real power of it and how versatile it is in locating water leaks or tracing plastic pipes.